A number of horror directors have been given the chance to make a series of short films for Xbox Live. 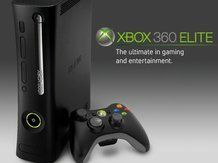 Once made, the short films will be streamed through Xbox Live and shown in the 26 countries that support the service. Speaking to the Financial Times about the upcoming movies, CEO of Safran Digital Group Peter Safran said: "This is an opportunity that filmmakers don't usually get." He also added that the filmmakers will get "complete creative control." The line-up of movies seem to be more comedy-based than horror, though, with titles like 'Meat Dog' and 'Humanzee', a short film about a human/chimp hybrid. They will be shown free of charge on Xbox Live under the banner 'Masters of Horror Take on Comedy'.